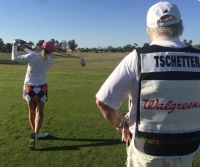 Kris Tschetter has been an LPGA touring professional since 1988. A fan favorite, Kris is also the founder of the Kris Tschetter Celebrity Golf Benefit for Kids. She lives in Warrenton, Virginia with her two children. I wasn't expecting much when I bought this book. 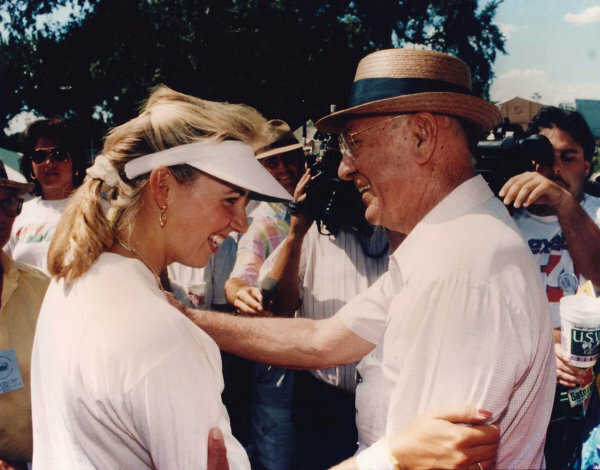 Being a big Hogan fan, I was willing to settle for a few new anecdotes, a rehash of the old ones and perhaps a tip or two about his golf swing. Having read one of his biographies and many articles about Ben Hogan I didn't think there was much more that Kris could add. I was wrong. This is one of the most delightful books I have read in a while. 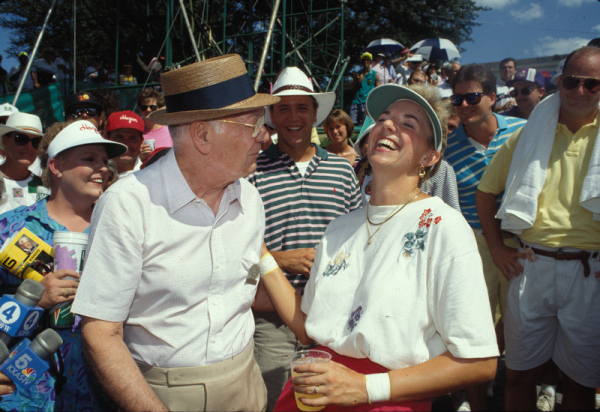 I often found myself smiling or chuckling and vicariously enjoying the unique company of Ben Hogan and the charming banter between Kris and Ben. This is a very personal and heart felt memoir of how golf acted as a vehicle to foster a beautiful friendship between an aspiring young women and a nurturing, if curmudgeonly, old gentleman. 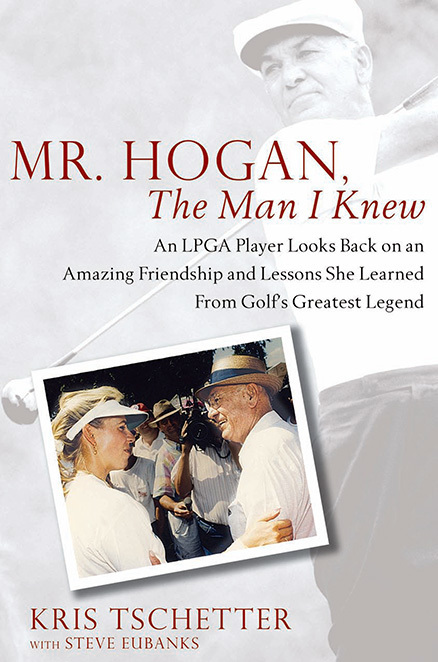 A wonderful little book for anyone and a must read for Hogan fans. James Dodson's book will likely remain forever the definitive biography of the legendary Mr. Hogan. This book is its perfect companion. It really introduces us to him as the wonderful man at Shady Oaks. It is a deeply personal remembrance of a man who touched lives and gave of himself in such a way to make those lives better than they would have otherwise been. Thank you, Kris, for sharing these stories of your relationship with him so the rest of us could "know" him, too. A "must read" for any fan of William Benjamin Hogan.